5. 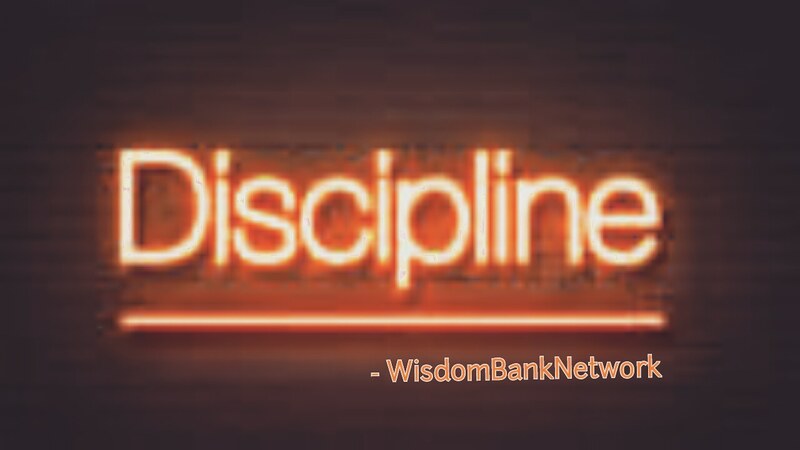 DISCIPLINE; Discipline is the capital price required to fulfil purpose, anyone that desires to fulfil purpose must be disciplined. Discipline simply means self-control, which means the ability to control one’s self, ability to put the body UNDER CONTROL. The body may be requesting for sleep when its time to work, but a disciplined person will rise up, shake the sleep off and go to work. Self-control(Discipline) is paramount because we have a self(body) that must be controlled. We have a body that if we do not control it, it will make us unable to fulfill purpose. Discipline is not a gift, it is an attitude that must be consciously cultivated. You do not pray to be disciplined, you train yourself to be disciplined. No one can discipline anyone, it is everyone’ s duty to discipline himself or herself, that is why it is called self-discipline. Even JESUS CHRIST had to pay the price of discipline to be able fulfil HIS purpose on earth(John 4:34). If JESUS needed discipline to fulfil purpose, believe me, there is no way anyone can fulfil purpose without discipline. The level of each one of us today is a function of our level of discipline, because GOD can never bless us beyond our level of discipline. GOD rate us according to our self-discipline to determine what HE place in our hands and where HE place us in life. THERE ARE TWO KINDS OF PAIN; PAIN OF DISCIPLINE AND PAIN OF REGRET. IF YOU DO NOT EMBRACE THE PAIN OF DISCIPLINE TODAY, YOU WILL EXPERIENCE THE PAIN OF REGRET TOMORROW. THEREFORE, EMBRACE THE PAIN OF DISCIPLINE TODAY, IN ORDER TO ESCAPE THE PAIN OF REGRET TOMORROW… BE WISE…!!! July 21, 2018 discipline, PURPOSE, Requirements for fulfilling purpose, Self Control.